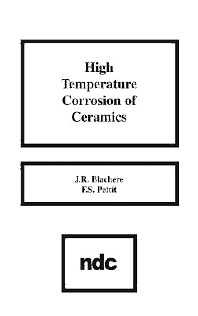 Describes high temperature corrosion of ceramics. In addition to pure single crystals or CVD materials, typical engineering materials of various purities were also studied. The environments used to produce corrosion were selected based on the likelihood of their being encountered in practice and their severity. The ceramic materials developed corrosion resistance by being immune to the environment or by developing passivity.